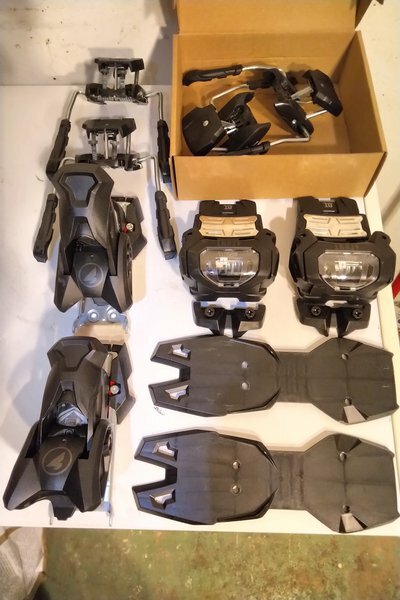 I have a pair of 4FRNT branded Attack 16 AT bindings for sale. They're super clean with only two days on them. I bought them to run tech soles on skis I already had mounted with Attack 13s. I've since sold the skis and am looking to sell the bindings too, I thought I might use them on a second pair of skis but am going to stick with a one-ski quiver for the time being. I can sell with either 95mm brakes which are used but in good condition or a brand new set of 110mm brakes. I'm also looking to sell the other set of brakes separately. Hmu with questions or offers.